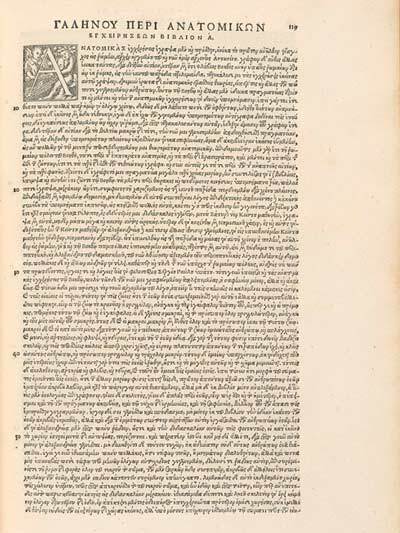 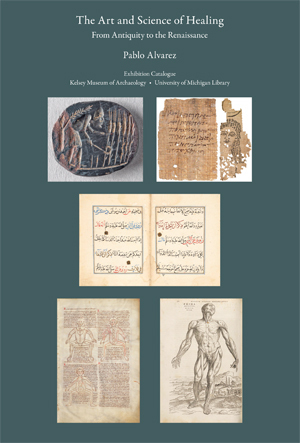 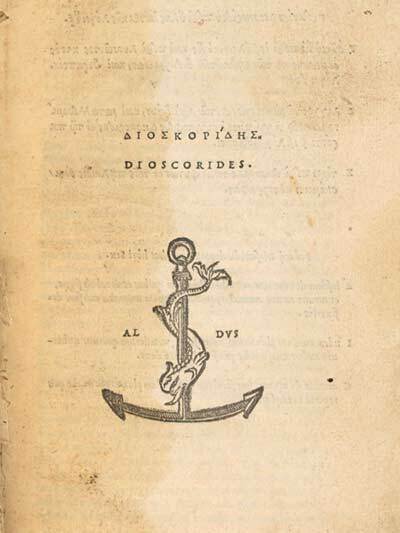 On display is one of the most important early printed editions of the father of Western medicine, Hippocrates of Cos.
After Hippocrates, Galen was the most influential Greek physician in antiquity and beyond. 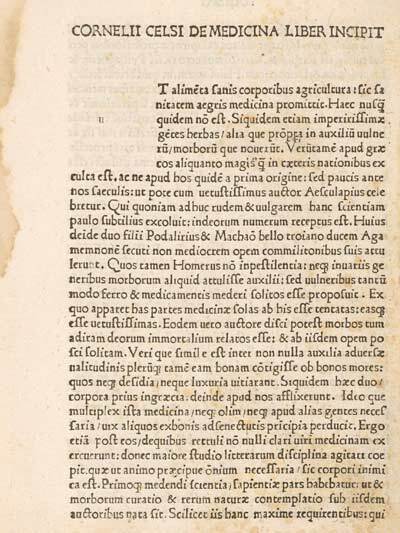 There are more than 120 extant medical treatises authored by him, although, as evidence of his great reputation, many other treatises were wrongly attributed to him in late antiquity and the Middle Ages. 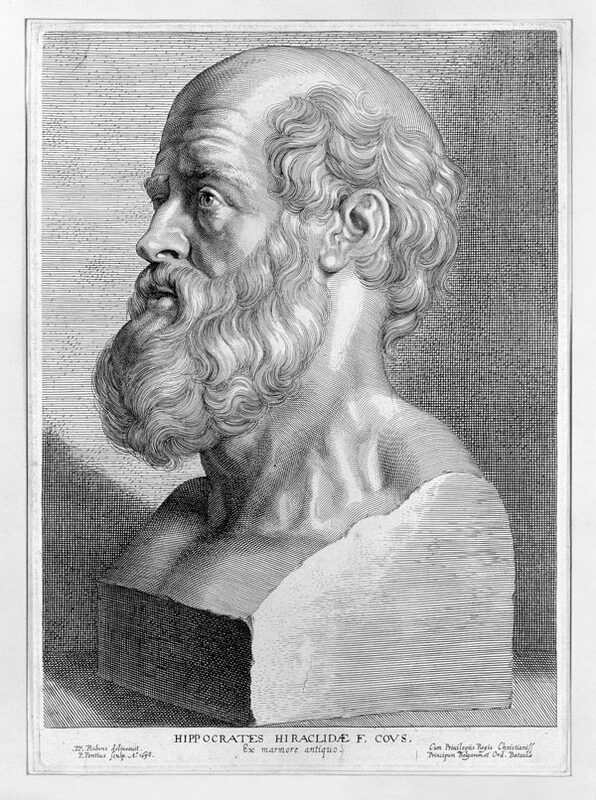 As a philosopher and a physician, Galen became the most important interpreter and advocate of the rationalist theories contained in the Hippocratic corpus. 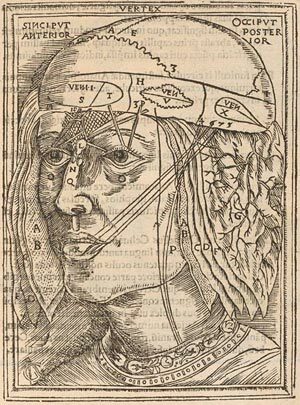 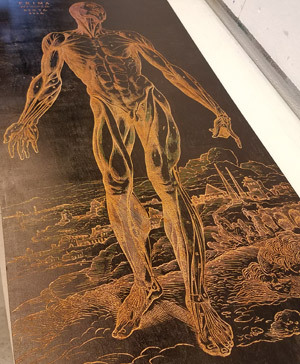 Although it would be impossible to summarize here Galen’s extraordinary achievements in the areas of physiology, anatomy, surgery, and pharmacology, we can still summarize his approach to medicine. 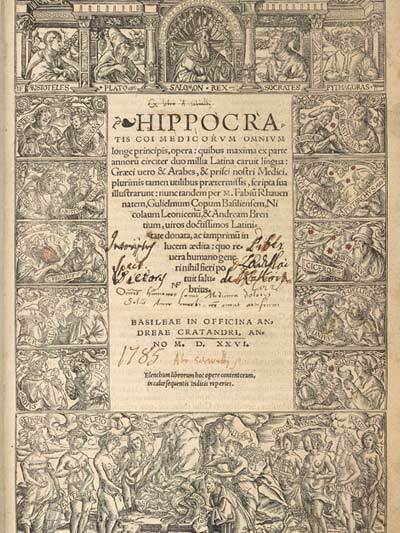 Like Hippocrates, Galen thought that preventing an illness was more important than treating it. 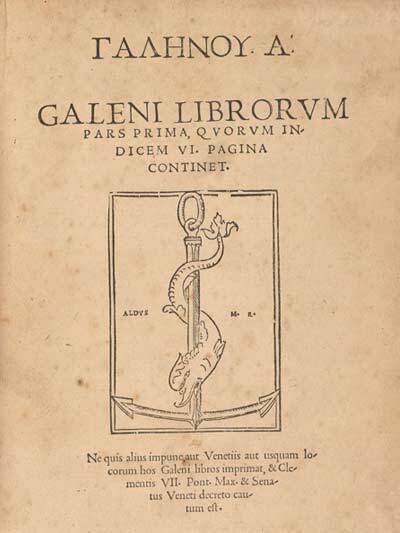 Diseases, Galen argued, did not have an independent existence but were always generated inside the body by internal or, in the case of wounds, external causes.